Nokia’s biggest and thinnest Windows Phone, the Lumia 900 will be released in 1-2 months time and we got the chance to use it for about 1 week at the recent trip to Barcelona. Here’s our early review of the device. Just a brief look at the specs: It’s got a 4.3″ AMOLED ClearBlack display + Corning Gorilla Glass, 1 MP front camera, 8 MP back camera with Carl Zeiss optics, 1.4Ghz single core processor, 16 GB internal memory and a 1830 mAH battery. 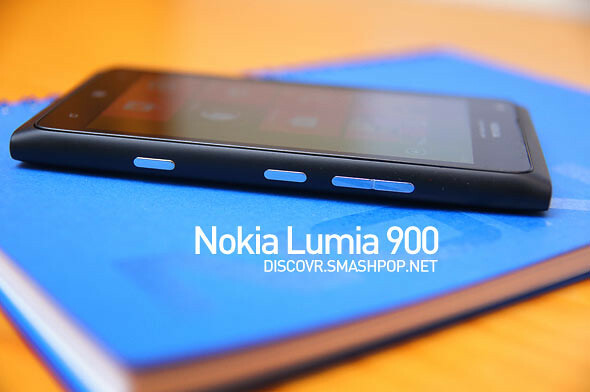 I’m currently using the Lumia 800 and when I was using this 900 for few days, I realised that the phone was actually quite heavy. 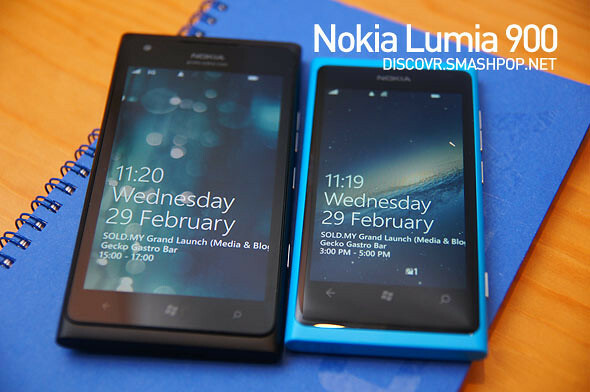 Due to the size of the phone, it wasn’t as comfortable to hold in the hands compared to the Lumia 800. Though it has the same look and design as it’s smaller sibling, the 900 comes with a flat screen and the edges are too sharp which may cause a little uneasiness when you are squeezing the phone in your hands. Running Windows Phone 7.5, the interface and everything else you see on screen looks exactly the same as all the other Windows Phones out there including the Lumia 800 and the Lumia 710. This one has an advantage though; bigger screen with the same 800×480 resolution means everything looks bigger and clearer. The pixel density of the screen may be lower but due to the better AMOLED screen used, it looks very much like a stunning LCD with minimal pixelation. 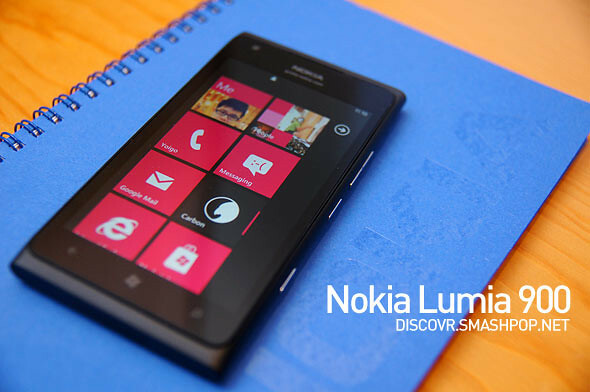 The Lumia 900 comes with a front camera, which the 800 doesn’t. So if you are the kinda that loves taking photos of yourself or does video calls on Tango a lot, then this may be a plus point. 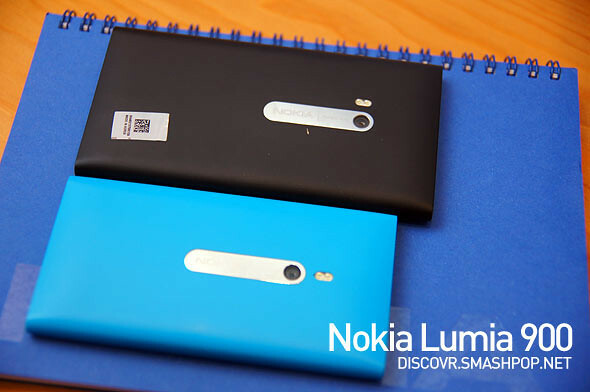 As you can see here, the phone is bigger than the Lumia 800. It feels more solid and heavier too. Everything else looks the same. The 8 MP Carl Zeiss camera is good. Similar to the 800 if not better, but I felt that the images should be sharper and more vibrant, which I hope Nokia will improve on this in the future. It shoot’s videos up to 720p, which again, I hope it does 1080p recording too. 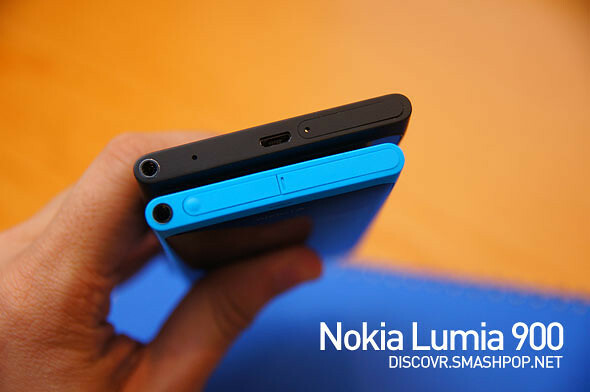 One big improvement which Nokia did to the 900; removing the USB charging port cover. Users will not need to open the cover in order to charge the phone now, which is more convenient. All in all, the Lumia 900 is worth getting especially if you love Windows Phone with big screens. Also, with the slew of Nokia apps like Nokia Maps, Drive, Transport, Reading and Music, it is worth every cent to get the Lumia devices as the apps mentioned really enriches the user experience. 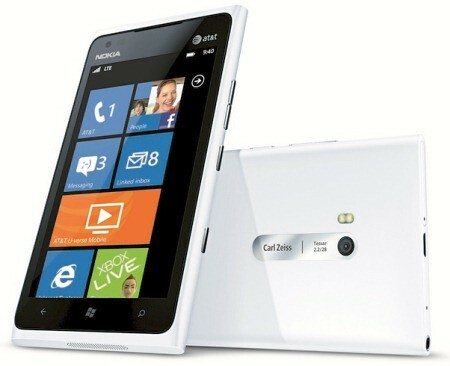 I will DEFINITELY want a white Lumia 900 when it’s out. Cant wait to own it! 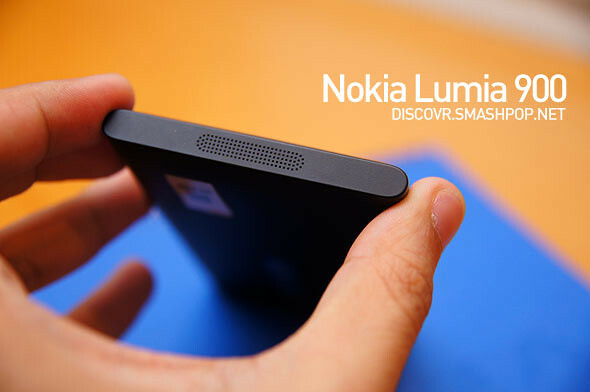 One Response to "Hands-On Review: Nokia Lumia 900 [Video]"